Rum Sauce as the title implies is made of booze. Who doesn’t like that. Rum is one of the ingredients in making this creamy luscious sauce. Brown sugar, salt and butter are the other ingredients that makes this sauce rich and delicious. It is rich but not overly sweet. 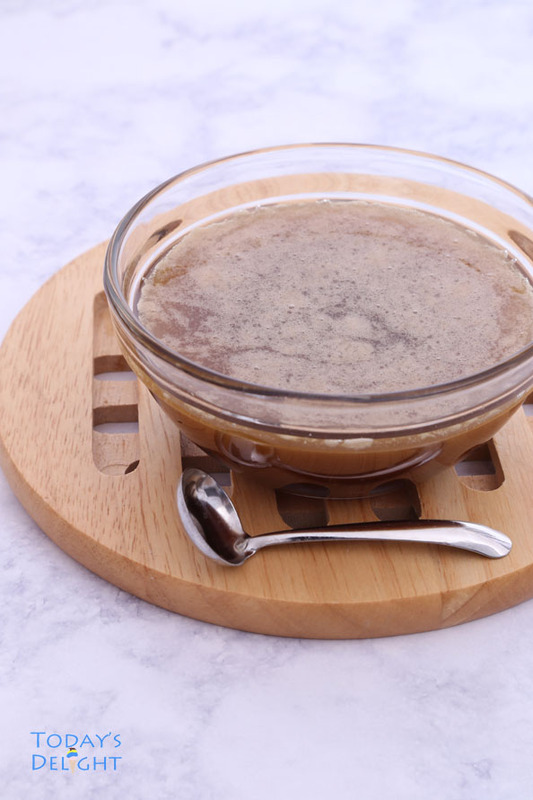 This rum sauce has a creamy texture that complements many desserts. 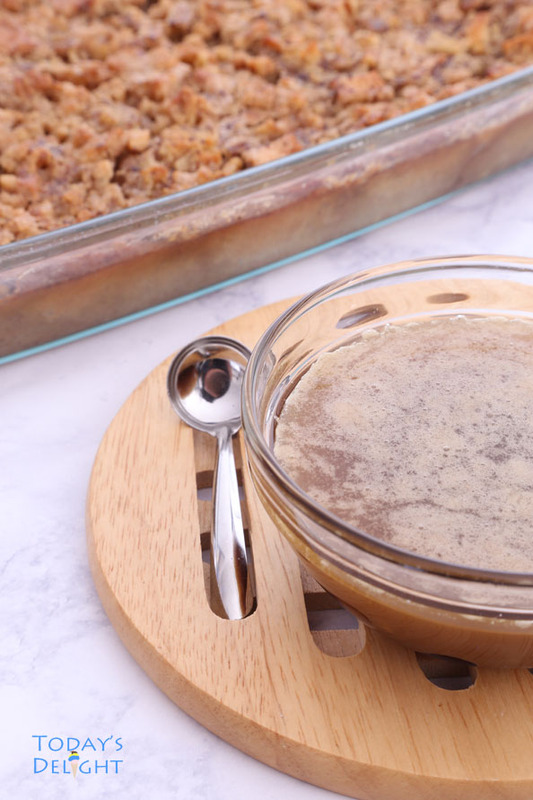 Pairing the rum sauce with bread pudding, banana bread or apple cake will be a special treat that will heighten your taste buds with every bite. Add a scoop of ice cream and you’ll feel like you went to a 5 star restaurant. This is an ooey gooey yummy sauce! Full of deliciousness. I’ve had this rum sauce recipe since 2009 which I got from a magazine during a doctor’s appointment. Before the smart phones, when you see a recipe you like from a magazine either you tear the page or write it down. Out of respect for my doctor I wrote the recipe instead. I want to give credit to the magazine or author of this recipe but unfortunately I have no clue where I got it from. It became one of the favorite family dessert. A huge thanks to the author. This is a decadent and easy sauce to make. Aside from desserts drizzle this ooey gooey sauce on your favorite fruit or ice cream. Get creative. The original recipe was too sweet for me so I made some minor changes and reduced the sugar. This has a creamy texture that complements many desserts. In a small sauce pan, simmer rum and reduced to half. Add brown sugar and salt, cook until sugar dissolves. Once mixture starts to boil turn off heat.